Residential Nursing Services Services that provide continuous nursing care for an individual who resides in a licensed residential facility, group home or foster home. Skilled Nursing Part time or intermittent nursing care provided by a licensed practical or registered nurse in the individual’s place of residence or other waiver service site. Caring Friends and Companions Group Home, Inc.
Haven Home Health Care is a new home health company with old roots and years of experience. We have built a leadership team who has worked in all the different aspects of home care. Our goal is to provide the BEST patient care in all of Florida, and we believe that is possible because of the QUALITY of our team members. La Madone Registry Inc. is dedicated to the delivery of Quality care to the community. Our mission is to deliver the highest quality healthcare services, utilizing our experience, expertise, professionalism and dedication to the highest standard of care. Working together as a team to take a leadership role in improving the health and quality of life of our community. For over eight years, Better Living Senior Assistance Services has been providing home health care services in the community. We offer affordable and convenient Private Duty Home Care Services to the elderly, ill or disabled, with a promise of professionalism and high quality of care. Our goal is to promote the independence of your loved ones with home health services that are tailored to their needs that would allow them to stay in the comfortable surroundings of their own home with a little extra help provided by experienced and compassionate caregivers. At Absolute Care & Habilitative Services our vision is to provide all services that will meet the needs of individuals with developmental disabilities. Our goal is to assist them to achieve the abilities that will allow them as much control as possible to live independently. We will provide the opportunity for choice through education of activities for daily life in the community. We will stay involved in the community, advocate for our consumers and encourage self-advocacy. The mission of Faith Caretakers LLC is to have high ethical standards, principles and heart, we will commit ourselves to providing clients with the best in home and community care possible. We believe that our clients deserve honeast, compassionate and reliable care from top health care professionals who go the extra mile to provide it. Have Faith that we are here for you. It would be our pleasure to provide you the highest quality care and have you experience our level of professionalism and reliability. With licenses in Miami-Dade and Broward counties it is easy to provide continuity of care wherever you may be. Our registry provides all levels of in home care, from home health aides to registered nurses, to meeting basic personal needs, to in home skilled medical care. The level of skills provided is dependent on your needs and requests. Our nursing staff will consult with you or family to help you select the caregiver of your choice. My name is Pascale Ambroise, owner of True Loving Care Group Home. True Loving Care Inc. is an APD licensed Group Home who's primary goal is to support all clients served by placing emphasis on person centered care, community integration, and inclusion. With over 18 years of experience providing quality care to those with distinct needs we pride ourselves in being an integral part in their self empowerment. Rhylan’s top priority is to provide you the best in home care and support services and we ensure impeccable service and care by hiring only Certified Nursing Assistants. Your loved ones are placed in the most trusted of hands to provide them with the warmth and compassion that they deserve. 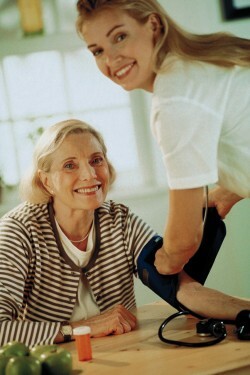 Our CNAs undergoes a strict screening process and are our verified. They are covered by Worker’s Compensation Insurance to protect you from any unexpected liability. The Cascadia House mission is to provide help and services to individuals with disabilities in a family-like environment. These services include the following: teaching self-help and independent living skills; teaching and encouraging leisure and recreational skills and activities; providing coaching regarding community participation; and providing direct instruction in social interaction and communication skills. Ray of Light Home Services is a Florida Medicaid certified home health care agency that is owned and operated by a Registered Nurse. We are a Home Health Agency that provides an exceptional wide range of services from skilled nursing, respiratory and home health aide to the comfort of the patient’s home. Our staff are board certified and fully trained with many years of experience in the medical field.